Any vehicle you purchase can be costly in the long run. There are plenty of expenses associated with 4×4’s, they include fuel, maintenance, insurance, registration, etc. However, while it costs money to own an SUV, it doesn’t mean that it has to be a money trap. Here are some tips on avoiding a 4×4 money trap. If you are buying a used vehicle, you could be buying someone else’s problem. SUV’s usually cost more to maintain and parts are also more expensive. A small problem that goes unnoticed can turn into a big headache costing thousands of dollars to fix. This is why you need to do plenty of research before buying a used SUV. Make sure to check the vehicle history. Use one of the many car fax services to make sure the vehicle wasn’t in a flood, stolen or in an accident. It’s also a very good idea to get your vehicle checked out by a mechanic that you trust. By ensuring that you keep your SUV maintained regularly, you can catch a problem early on before an issue becomes worse. Keep records of all the maintenance done on your vehicle and make sure if your car has a warranty that all items being fixed under the warranty are done properly so that once your vehicle goes off warranty, you don’t have to once again replace an old part or revisit an old problem. Fuel can make up a big chunk of money it costs to operate an SUV, so make sure you use the right fuel. Most SUV’s drive just fine on regular gas. You don’t need to spend extra on premium. Before doing so, check the owner’s manual to make sure which fuel is right for your vehicle. 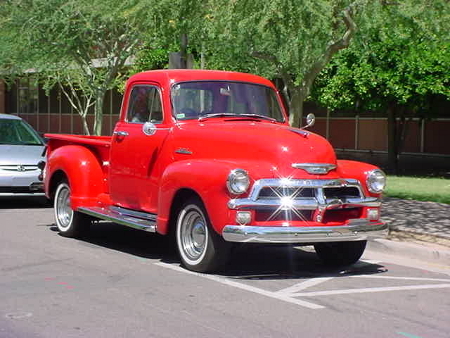 Are you planning on selling your truck in the near future? I bet you want to get the most money possible for it. While many people check their blue book value for their truck’s, SUV’s or Jeep’s value, the truth of the matter is that many sell their vehicles for far less than their worth. Here are some tips on getting the most for your vehicle. Unfortunately, many lose hundreds, even thousands of dollars in order to sell their vehicle conveniently- trading it in. If you want to sell your vehicle retaining a lot of value, don’t trade in your vehicle- statistically you lose the most money when you sell your vehicle to the dealership. The last thing a potential buyer wants to see is a dirty truck. You don’t necessarily have to detail it- although it is a good idea, but you should make it presentable so that the person can focus on the vehicle and not on how dirty it is. If your vehicle has minor repairs that are needed, fix them before you put your vehicle up for sale. For instance, if your vehicle has a broken tail light, this can cause your vehicle to drop much more than the actual cost to fix it- so make everything nice and tidy before you put it up for sale. A little maintenance and repairs definitely go a long way when it is time to sell. It’s also a great idea to have documentation handy of all the repairs and maintenance you have done in the past. If you have some great features that make your vehicle stand out from others, make sure you advertise them and tell them to prospective buyers. This can raise interest and the perceived value of your vehicle- ultimately fetching you a higher price. If you love trucks and are looking to buy one that is not overpriced and offers a great deal, you should know that with today’s internet technology, there are plenty of great ways you can save off the sticker price. 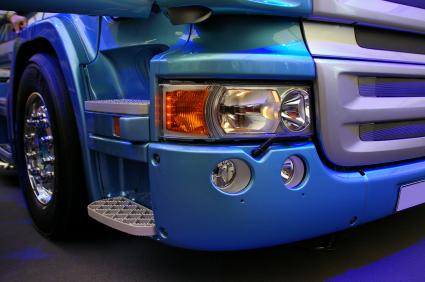 Buying a truck is no longer an experience of tough bargaining and haggling with a car salesman. In fact, there are now ways to purchase a truck without ever having to talk with a salesman, except to pick up a vehicle. Here are some tips. First off, there are plenty of car and truck information sites that give you extremely detailed information on pricing for both new and used vehicles. Almost every new and used vehicle can be pulled up and pricing for different trims, special features, etc can easily be viewed in detail. You can even find out how much the dealer gets the vehicle for and their profit margin. Using these tools quickly levels the playing field and makes it easier than ever to get a great deal. Besides researching vehicles so that you are well equipped when you go to the local truck dealership, there are ways that you can now purchase a truck, get a great price and never have to haggle or even talk to a truck salesman. These sites pretty much ask you for the specific type of truck and features that you would like. They then have several dealerships battle it out offering the lowest price- which you then agree to purchase the truck for. Not only can you save potentially thousands off the sticker price, but you don’t have to do any haggling. It should be noted that these services are usually fee based, but well worth the cost, since they save you so much money in the end. Buying a truck, SUV or Jeep is not cheap and if you have been saving from scratch and still unable to buy one of these vehicles outright, your next best alternative is to apply for a truck loan. 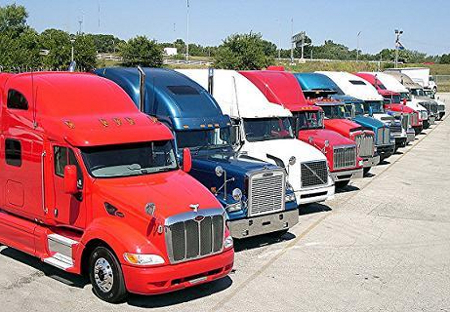 While truck loans are quite affordable today in terms of interest rates, many banks have tightened and have raised the bar for who they lend to. For first time lenders and those with less than satisfactory credit can expect a difficult time. However, even with tough times for banks, there are ways to get a loan for your truck, here are some tips. Many times, those that have a tough time acquiring a loan have the best chance of being approved at a large dealership that also sells used vehicles. This is not the regular dinky used car dealer, but rather your large dealer manufacturer that also sells pre owned trucks, SUV’s and perhaps Jeeps. While you will probably pay more for the vehicle due to higher overhead, most of these dealers have already lined up financing and can have an easier time getting you approved. If you already have a bank you are using, this is a good place to start as well for a truck loan. This way the bank will already have a relationship with you and a very good indication of whether you are able to pay off the loan. In addition, if you or a family member is part of a credit union, you can also try these types of lending organizations. Credit unions generally charge very good interest rates and sole purpose is to help its members and community. If your credit is less than stellar, one tip to consider is a co-signer. A co-signer pledges to be responsible for your debt if you are unable to make payments. Obviously, you will need to ask someone close to you such as a family member or a very close friend. Finally, if you are still unable to get financing for your truck, SUV or Jeep, the best option is to usually save more money and put down a bigger down payment on a vehicle. The more money you put down on a vehicle, the less risk banks see a loan being and the better your chances of being approved are.